pieces, to collect with your snot. For 2-4 players. 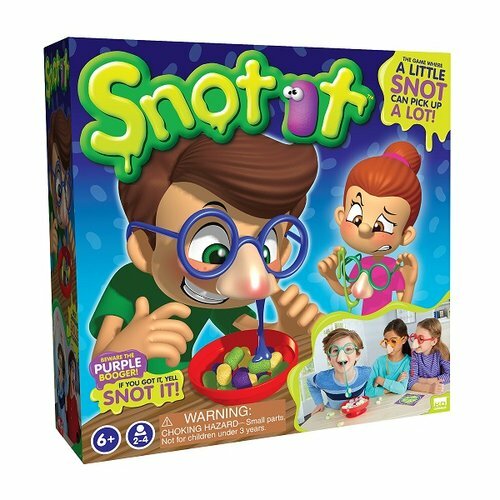 Snot it game is the most gross, snotty and fun game to play. Comes with 4x glasses and matching snots, a spinning disc and a bowl with various pieces, to collect with your snot.